If you are looking for another way to save money in addition to couponing, your local public library is a great place to start. If you haven’t been to a library in a while, it may surprise you how far along they have come. You can find things like iPad rentals to test prep services. My girls and I love to browse through books, audiobooks, DVDs, CDs, newspapers and magazines. This is the traditional library approach, but it is great to have access to thousands of books for free. I love saving money, so this is just another great way to save money and still enjoy some of your favorites. Tip: If you love watching movies and television shows, check your library before you go out and buy or rent a movie. You may be able to watch it for free. Libraries have changed a lot as we have become more technologically advanced. Now, you can read articles, books, magazines and more from the comfort of your home for free. Instead of spending money on yearly magazine and newspaper subscriptions, you can view them online. Check with your local library to see what online services are available to you. On my library’s website, you can also access testing and education information, which is great for students preparing for tests like the SAT or even the LSAT. The public library is also a great resource for personal enrichment. Most libraries hold classes and events that offer a broad range of activities for people of all ages. Classes and events during the summer are a great place to spend time with your kids. If you have ever wanted to start a book club but haven’t been quite sure where to start, your local library might be able to help. At my library they offer entire book sets with questions and other materials to start you off. Another great service my library offers is a business and job center reference area. You can learn about interviewing skills, open jobs in the area and more. Now, I know not every library may have all of these features and services, but these are some that I have at my library that can give you some ideas for added savings. If you don’t have a service listed above, you could even talk with your library about adding the service. 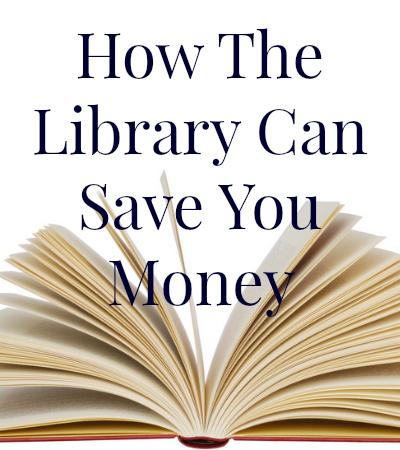 What’s your favorite way to save money at the library?